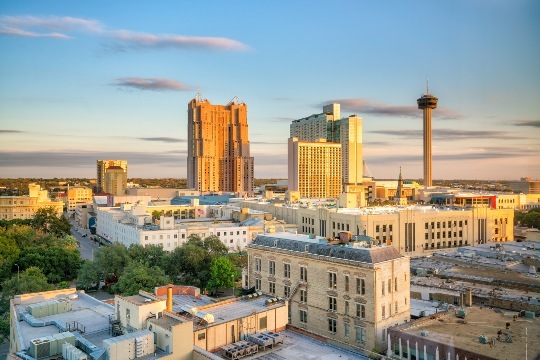 Whether your company is planning a large-scale corporate conference or a small company outing, National Charter Bus is your premier solution for professional travel in San Antonio. We service a variety of large-scale events, giving us the necessary tools to craft the perfect fleet for any business event. Our experts are available 24/7 at 210-343-2190 to find the perfect bus for your San Antonio corporate event! When you’re trying to transport multiple corporate guests between venues across the city, it can be difficult to keep up with everyone and ensure that your events begin on time. For your next corporate event in San Antonio, rely on National Charter Bus to choose the perfect transportation option for you. We’ll pair you with a shuttle to quickly transport attendees around town, or a fleet of buses to bring in a large group of out-of-town guests. No matter your needs, we’re prepared to help streamline all of your corporate event travels in San Antonio. National Charter Bus has the ability to build a custom fleet to fit all of your coworkers, clients, or guests comfortably. The types of buses we charter range from 18-passenger minibuses to 56-passenger coach rentals and everything in between. If you’re in need of more than one bus, one of our reservation specialists can put together a fleet that’s tailored to your group’s unique needs. If you’re concerned about impressing an important client or keeping your employees comfortable, we offer a selection of premium amenities to make the ride unforgettable. Customize your own private ride with your choice of stylish, custom amenities, entertainment options, and added storage space with a personal rental. While booking your bus, you can choose from comfortable features such as plush seating, WiFi, power outlets, auxiliary plug-ins, air conditioning, and top-of-the-line interiors. With these amenities available to your passengers, guests can use their travel time to get some extra work done, prepare for an upcoming presentation, answer emails, or simply relax and enjoy the ride. You can create your own unique mobile office space in which employees can work and get to know each other. Leave the driving to a professional and allow your guests to focus on your event! National Charter Bus makes it easy to connect your meeting space to nearby hotels, restaurants, and other attractions. Travel with ease between convention venues such as the Henry B. González Convention Center and nearby hotels such as Hotel Havana. Unlike public services or rideshare apps, a private shuttle from National Charter Bus will run on your time and service only your group for a private and exclusive travel service. Outfit your bus with luxury amenities to “wow” your passengers as they’re comfortably shuttled to and from your event. Your shuttle service can even extend beyond business hours to ensure that everyone enjoys a safe night out in San Antonio after your work has finished. Plan your next corporate event with ease, and let the professionals handle all the transportation logistics. 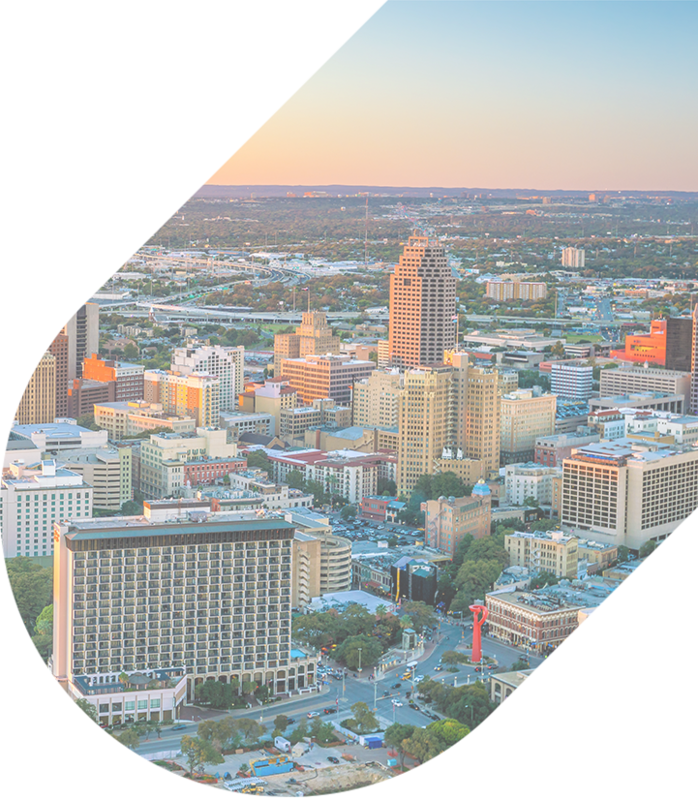 National Charter Bus San Antonio is your go-to charter bus rental service for all of your corporate outings in the city. With us, you can rent a bus that will be sure to impress clients and your employees. Our team is ready to provide you with a free, personalized quote, call us at 210-343-2190.